The Minipong Shield contains an 5x7 matrix and plugs into an Arduino Promini or Promicro. 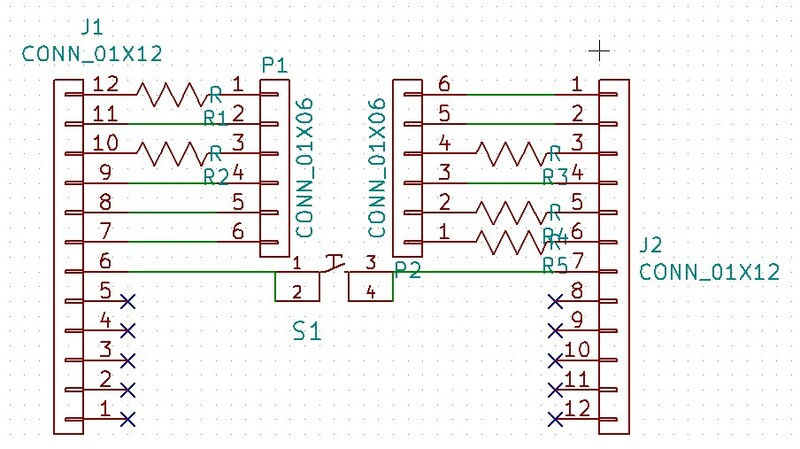 By controlling the state of the pins all LEDs can be individually turned on or off and patterns can be controlled. 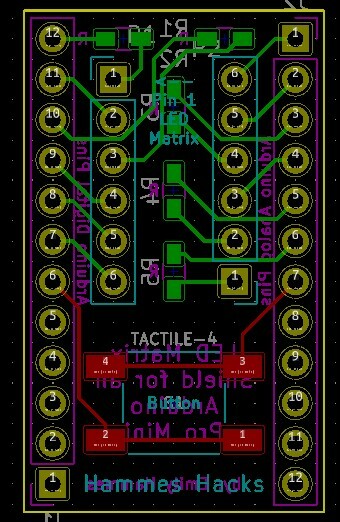 Solder the matrix (for the LTP747 the text is on the oppostite side from pin 1, for the 757AS the text is on the same side as pin 1). Glue all sides of the case together except the back. Wait for glue to dry. rubber bands can be used to hold the case together while it dries). Plug the shield into the Arduino. Close the case. Friction and the cables should hold the unglued side in place.